When it comes to clothing, I don't really believe in paying full price unless necessary. 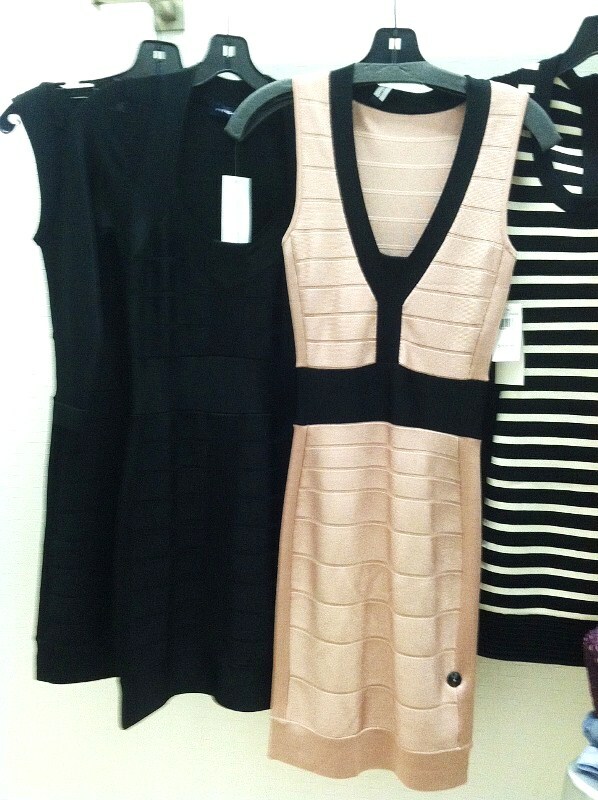 So when I saw these French Connection bandage dresses at Saks outlet for under $100, I was surprised and rather happy. 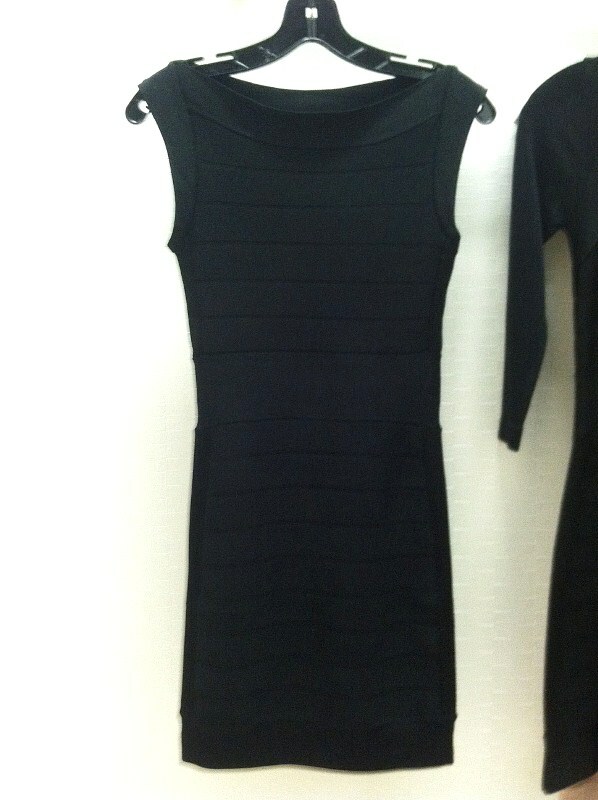 The material is substantial, almost like the original Herve Leger. I thought to buy one for fun since it is not too pricey. I picked this simple classic black to try first. I couldn't find any zipper so I slipped the piece over my head. It was snug but not too difficult a task. I really like the fit and how I look in this dress. So I thought to try on other styles to pick one or two dresses to take home with me. Well, I almost injured myself taking off this dress. I am rather flexible but the dress is very tight and material rather unforgiving, which makes taking it off an ordeal. Without a zipper, I could only slip the dress off from my head. After struggling in the dressing room for about 10 minutes, I finally pulled the dress off. I was red in the face from exertion. Needless to say, I left those dresses without taking any home. I like the fit but what was French Connection thinking when this dress is produced without a zipper???!! Herve Leger dresses have zipper so a gal can be zipped into the dress for that perfect snug fit. Has anyone tried the French Connection bandage dresses before?? Oh god what a nightmare! I know just how you feel here as I have had the same experience with a different brand's version and had to call in reinforcements to get me out. It looked great on you, but I'm glad you didn't get it because honestly you could've have suffocated. It happened to me once, and thank God my mom was around because I was having problems breathing. I don't even buy dresses without a zipper anymore. I was so frightened. Glad everything turned out ok.
Too bad it look so perfect on you but if taking it off is like hell, it´s not worth it! OHHHH...it's for the best, bandage dresses are evil! It hugged your curves in all the right ways. Lovely bandage dress. Haha--I've been in that position before--not fun!